The San Francisco Chronicle carried an article on April 1, 2018, that discussed the future of the "autonomous auto," or the "self-driving car." The story mainly focused on how Waymo, a Google company, is stealing a march on Uber, a company that many of us most love to hate. A Uber trial vehicle, out for a demonstration run on the streets of Tempe, Arizona, managed to kill someone, in what the Chronicle called a "deadly crash." Worse for Uber, I think, than the deadly consequences of the accident was the fact that the Uber vehicle made no effort whatsoever to avoid killing the pedestrian. The Uber human observer, inside the vehicle, was paying no attention. This lack of concern for others (perhaps this is Uber's trademark behavior?) suggests that some other, warmer and fuzzier, company should be our go-to autonomous auto provider. 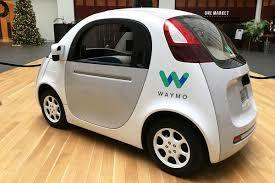 Maybe so, but here's my question: Why do we want self-driving autos at all? Replacing human drivers will eliminate a major opportunity for the exercise of what is now often called "agency." (Teenagers will no longer find that getting their driver's license is a major milestone on the road to maturity). Replacing human drivers with sophisticated computer systems that will drive the cars we depend upon will also mean that hundreds of thousands of human beings will lose their jobs, and the sense of self-worth that accompanies the knowledge that a person is able to provide a service, or to do something of value. So, that's what these self-driving cars will accomplish (besides occasionally killing someone). Would you tell me, again, why is it that we want autos to be autonomous? As a member of the geriatric set, (86,) a SAFE self-driving car would be a dream come true. I spent more than 6 hours Wednesday chauffering my husband around, since he's decided he no longer is completely safe driving, except on our 13 acres. I did manage to read 3/4 of a book while waiting in the car for him to see his doctor and do his errands. I would rather have been doing something else! Sounds like a good reason! But you might also consider Uber, Lyft, or taxis! !